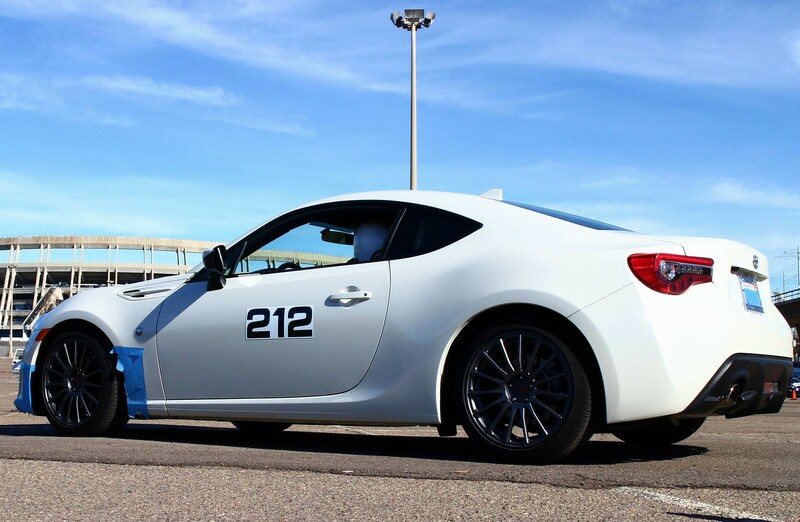 Toyota and Subaru made waves in the automotive world when they released the Scion FR-S & Subaru BRZ in 2012. 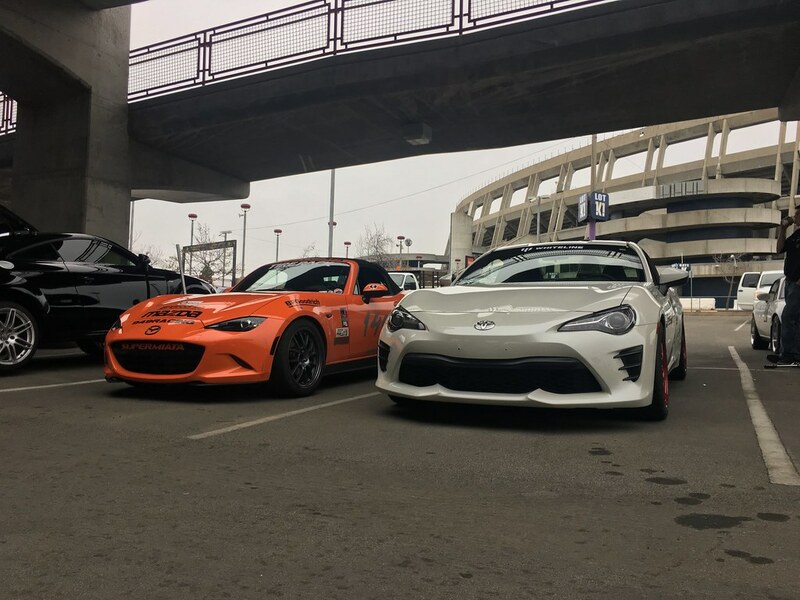 Since it's release, the FT86 chassis has been side by side with the Miata and MX-5 as the enthusiast's affordable choice for a rear wheel drive sports car. 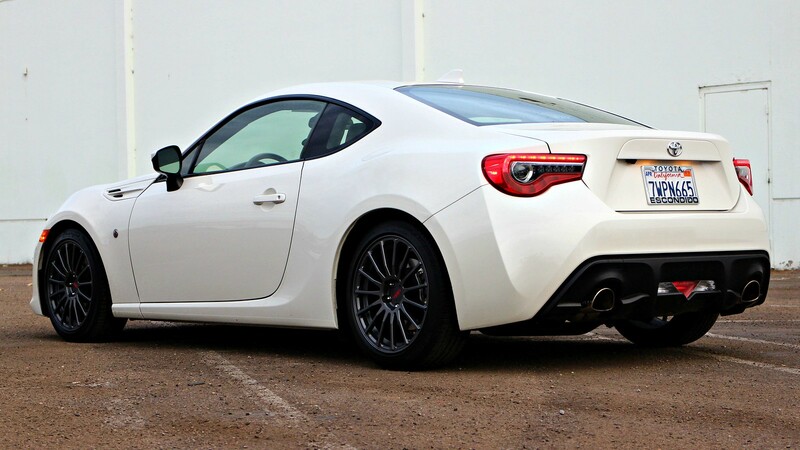 It was only natural when I brought one of these home we would starting having more FUN with the BRZ/86 platform. As always, we believe in racing what we develop so we can test the limits and know we have the right balance! Look for fast developments in our thread for wheels, exhaust systems and much more FUN! I always like starting build threads with a bit of history - it gives a firm base for where I started and gives some background for the new project. I've been in the Miata world for the last 8 years and it has been quite the journey. From local time attack events (Global Time Attack & Redline Time Attack) to lapping days at Laguna Seca, I have been through a lot with this car. After 8 years with the Miata, I decided it was time for some change. I picked up a nearly new Toyota 86 at the start of this year! 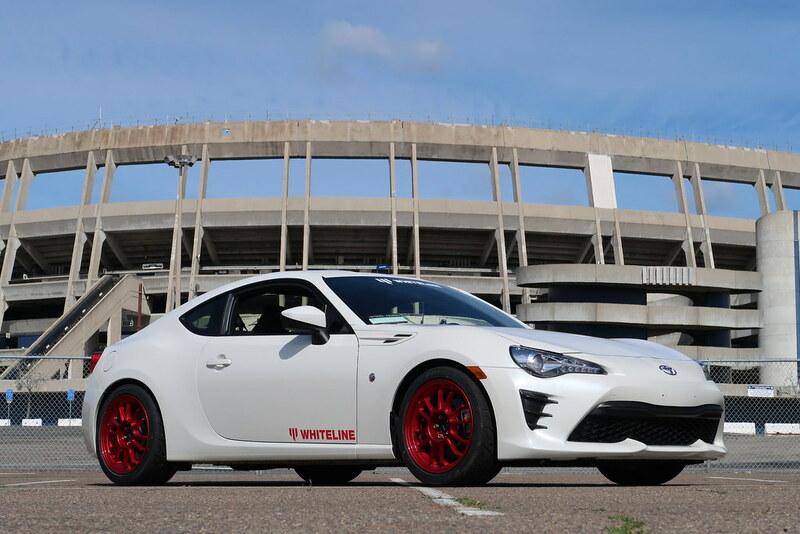 My 86 came with a number of TRD goodies including the wheels, springs and exhaust. 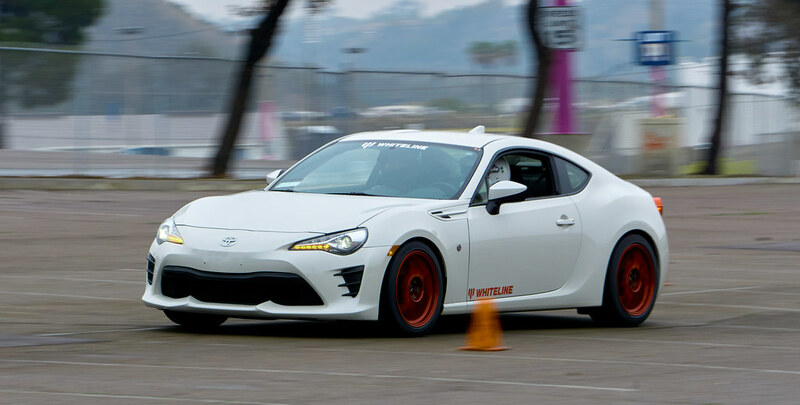 A lot of people have been asking me why go backwards with a stock 86? The answer is simplicity. After tuning and tweaking for so long my priorities have changed. I want more of a turn key car that requires less baby sitting and one that I can spend more time driving - my favorite activity. The goal for "Shaggy" will be STX class for SCCA autocross and 86 Cup Street class. I am very excited to take all the knowledge I've gained over the years and apply it to the 86 in a more focused manner. Along with the requisite build thread I want to keep a better record of my experience with the 86 and part of that will be videos. Hope you enjoy the thread and the video series! 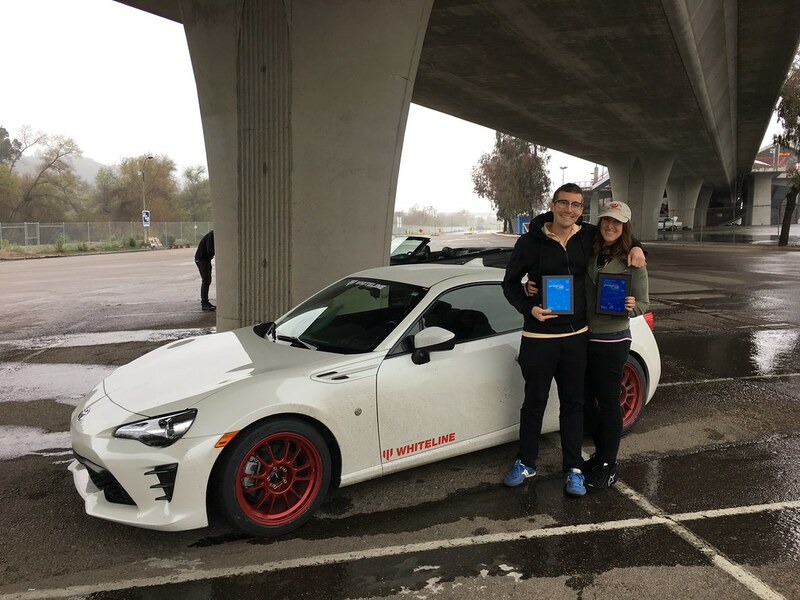 I picked up the car on 1/7/18 and six days later took it to autocross as delivered! I've been instructing with the San Diego BMWCCA for about 6 years and they put on the best autocross events in our region. Big flowing courses make the perfect testing ground for new parts. My wife and I co-drove this event in the 86 to get a feel for the platform before making any major changes. Overall I am really impressed with the car and the balance with the TRD springs is FUN! Even the stock tires, though slow, made the day entertaining! Coming from my Miata you can feel how much lighter the car steers thanks to the low center of gravity. I also found the ABS to be very intuitive and it did not seem as prone to activating ICE mode over uneven pavement. Our lot is very rough and I have experienced inconsistent behavior in some car's ABS systems. I did my best to document the day for another video, looking forward to more fun with the car and to begin the modding! First up will be an oil cooler as well as some proper wheels and tires. 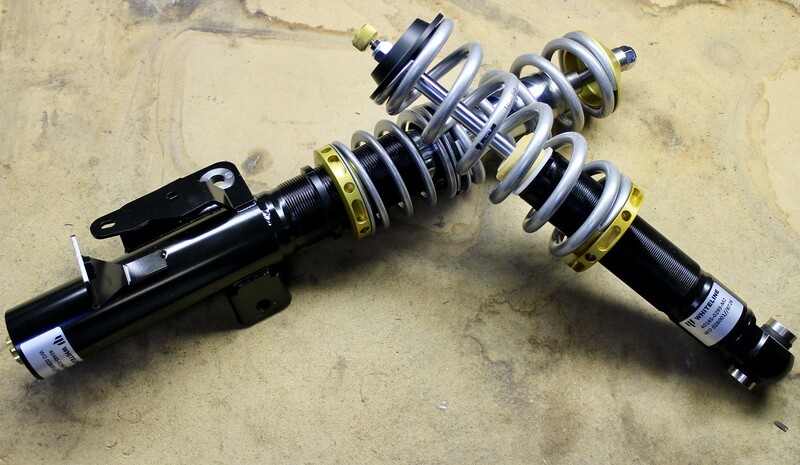 I am still in the research phase for headers and coilovers. I was really happy with the results during timed runs too, no trophies but all runs were within .010 seconds! If you want to just see the hot lap check out this video. I already loaded a Stage 1 tune before the last autocross but I wanted to post a few thoughts about it. I've seen some dyno results for the Stage 1 3.02 tunes already and it is not that impressive on paper. However, in the real world, I think there are a number of positive changes. My top three things improvements I've noticed are throttle response, better behavior at redline and eliminating RPM hang during shifts. The throttle response improvement is subjective but I feel the mapping is a little more natural and less lazy without being overly sensitive. At redline the car now longer pauses or stops, it just holds the car at redline until you decide to shift. This is great for autocross and big track too. Another small fix I noticed is the throttle not longer hangs between shifts - not game changing but I appreciate it! I'm looking forward to getting a baseline and swapping the header soon. 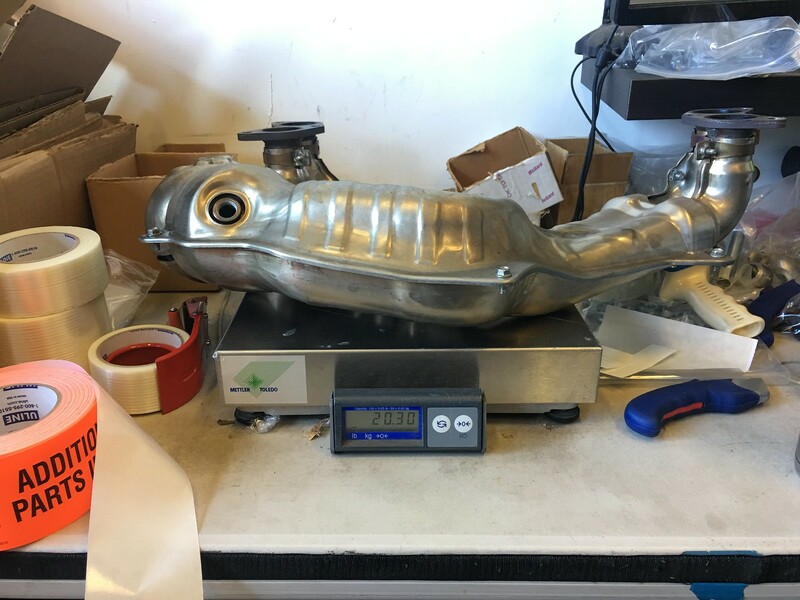 Next item for the build is a different exhaust. Now, you might be wondering why I'd swap out the perfectly functional TRD exhaust. It's a great system and sounds great on an otherwise stock car. With the incoming addition of the header I was worried it might be too loud which is problematic for our autocross location. After being around the helmholtz exhausts we design at the shop, I wanted to try something similar with this car. If you use a properly designed helmholtz chamber you get all the fun noise without any of the drone. It is a win/win! Thermal R&D already did all the hard work and have a catback system available with a helmholtz chamber so I picked one up. After getting the car on the lift and we got the exhaust swapped in short order. On the road, I was shocked how mellow the exhaust is. There is a lot less cabin noise and some people might consider it too quiet. 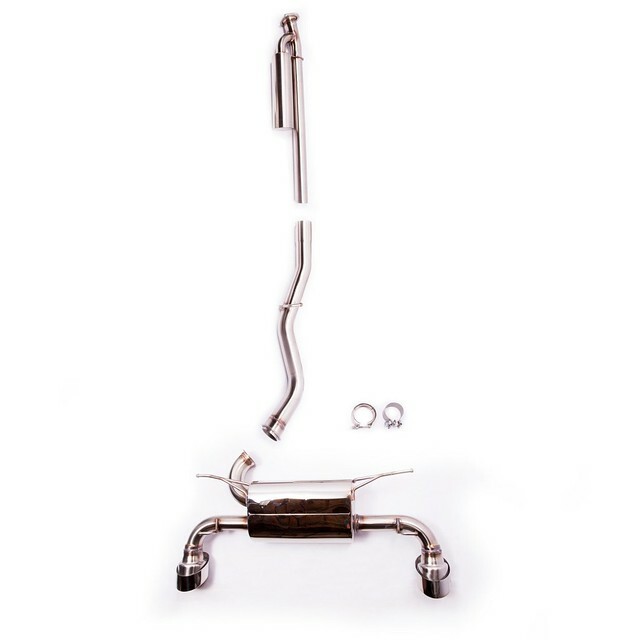 This is definitely the mature exhaust choice if you want to stay under the radar. For me it is perfect. My wife reminded me I must be getting old because all my cars are almost as quiet as stock. I'm very curious to see how this exhaust system sounds with the header installed...I'm hoping I won't need to make any other changes. Sticking with my plan I also documented the fun via film, hope you enjoy! Dyno Time! Over 200WHP With A Stock Header & E85! While getting the 86 ready for it's dyno appointment I thought it might be educational to talk about how to prep a car for a trip to the dyno. Also, I must admit, I got a little ahead of myself and filled the tank with E85 and loaded the Stage 2+ tune the day before I found out I was going to the dyno Friday. 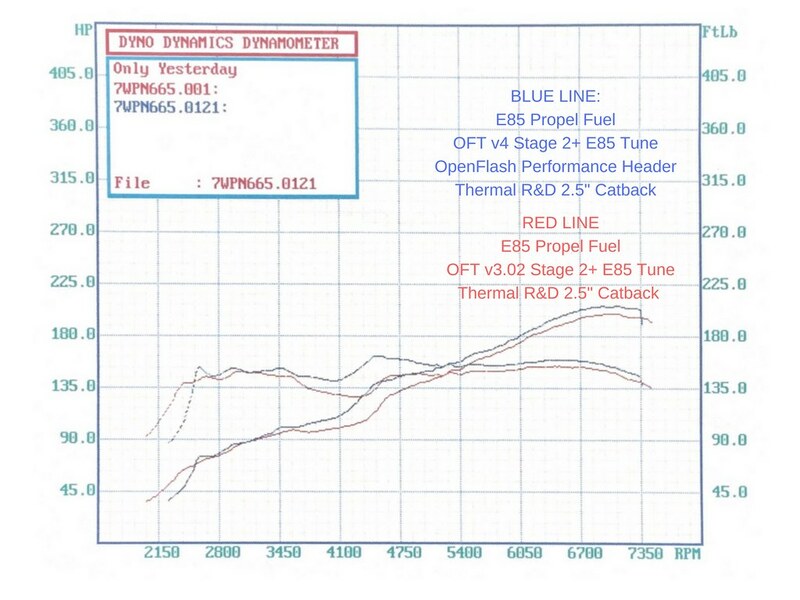 So while the baseline runs won't be done on pump gas, I will be comparing the Stage 2+ E85 v3.02 tune to the NEW v4 tune from OpenFlash. After loading the Stage 2+ E85 tune, I was curious...could I hit the magic 200WHP with a stock car using E85? I've seen results here and there but that was not enough for me. I wanted to see that number before we went down the rabbit hole. I did my best to film my time at the dyno and break down the results from A/B testing. 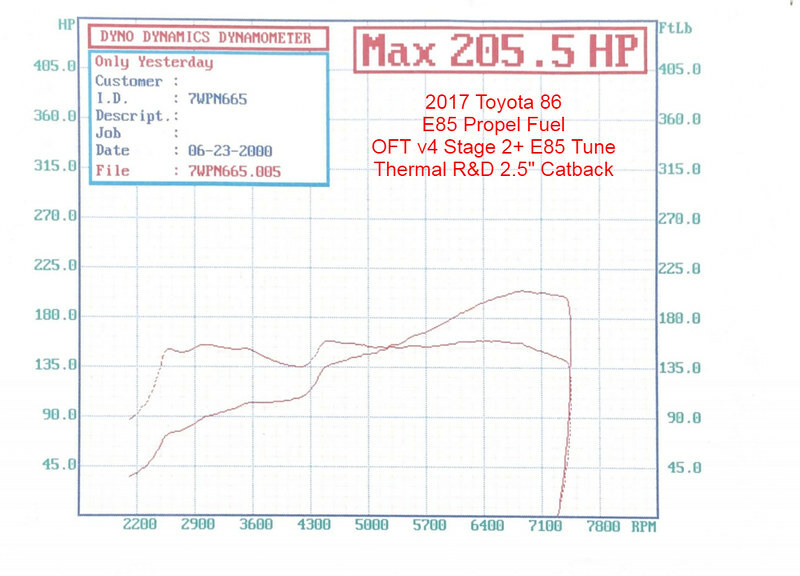 In short, YES, I was able to hit 205WHP and 160WTQ with a v4 Stage 2+ E85 tune on an otherwise stock 2017 Toyota 86. The only modification was a 2.5" Thermal R&D catback exhaust but given the data I've seen I doubt that added much if any power. The dyno I used was a DynoDynamics which has been used for all of our project cars and there is a lot of data to compare to. All in all I am very impressed and I do not think I have never experienced such a good bang-for-buck modification on a naturally aspirated car. 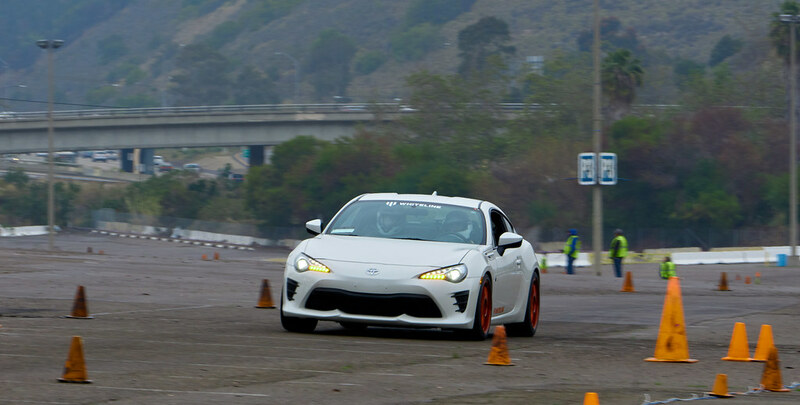 The 86 really comes alive with an extra ~30WHP and it is so much more fun than stock. Next up is an OpenFlash Performance header with integrated over-pipe. How much will it make? Only time will tell but I do not expect nearly as big of a jump. For those that are curious here is a chart comparing the v3.02 Stage 2+ E85 tune vs the v4.0. I also plan on running the car with 91 and the header to get another data point in the future. 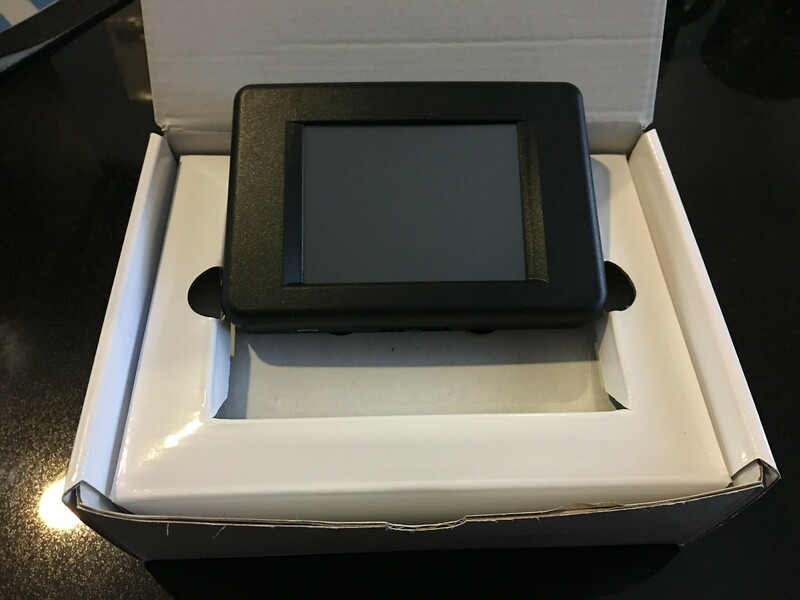 OpenFlash Header Dyno Results + New Sponsor! More FUN, header installation! One thing I wanted to point out about the header is the routing of the primaries. 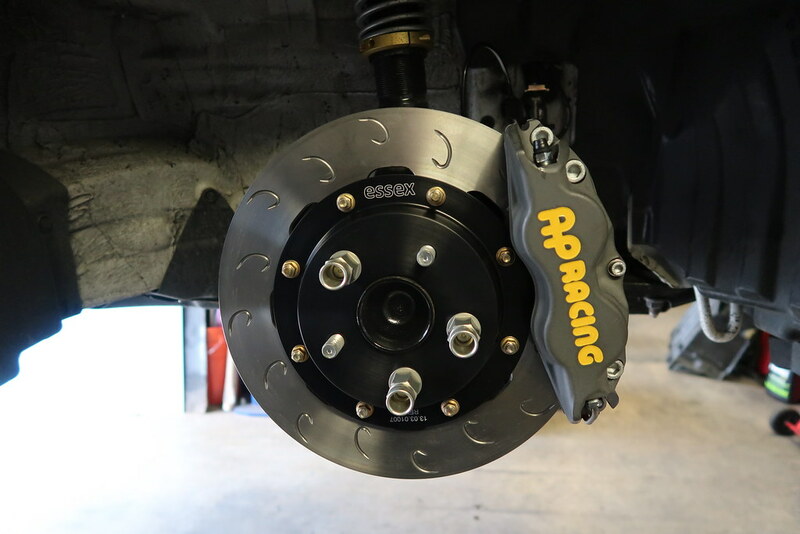 Unlike some designs, it keeps them away from the oil pan and makes efficient use of the space. The Borla and Tomei header we sell both keep the primaries away from the oil pan as well reducing heat soak. Weight is also down with the OFT header, it saves about 10lbs compared to the OEM unit. 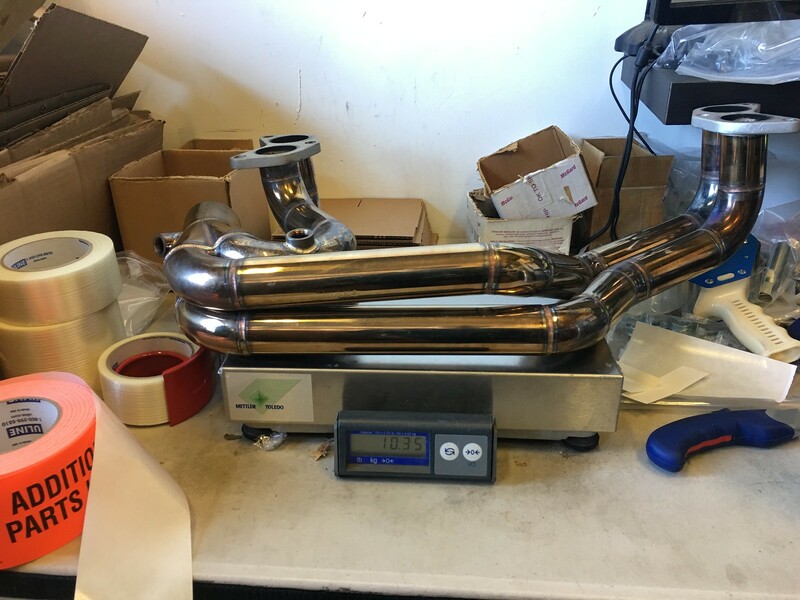 The factory header weighed in at ~20lbs and the factory over pipe is roughly the same weight as the OFT over pipe. In the shuffle I forgot to weigh those on the scale. Now, the results! The car made a 206WHP and 163TQ...which on the surface doesn't sound that impressive but it is important to remember peak numbers are only part of the story. The bigger change is the area under the curve; the torque dip is eliminated and the car gained 10 ft-lbs in the middle of the power band. The improved mid-range is very noticeable on the street and will make a big difference pulling the car out of corners at autocross. I am also pleasantly surprised with the exhaust note. I was really worried the car would be too loud or drone while cruising on the freeway. I think a big key to this is re-using the factory front pipe which has a HUGE cat in it, that goes a long way for controlling the extra sound from the header. I'll make a video at some point in the future just focusing on the sound of the exhaust so people can get a better idea of it. 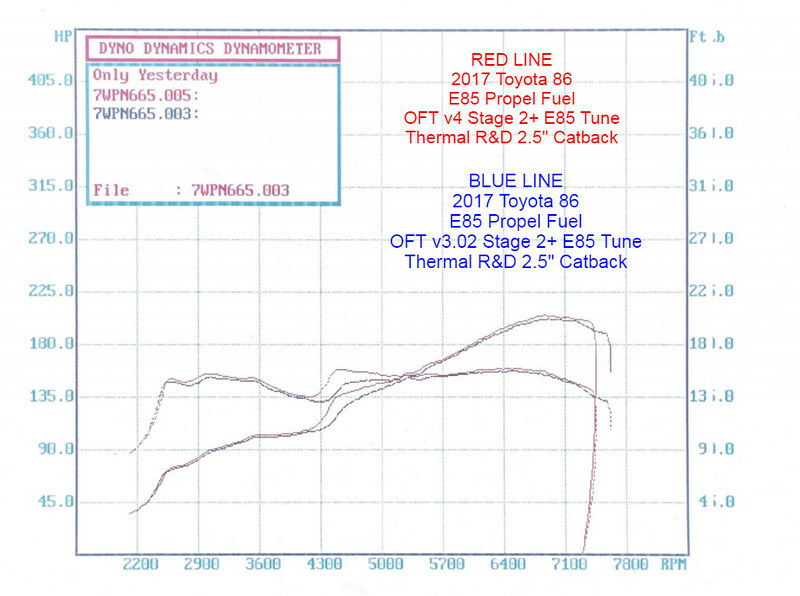 With incremental power improvements it is sometimes hard to see the big picture, this dyno graph shows how the car was when we first put it on the dyno to now. This is a HUGE improvement! For now, the car is done with power adders and I can change my focus to improving the suspension for track use. I am really happy to announce Whiteline Suspension has come on board as a sponsor this year and I will be creating a video series focusing on suspension set up and explaining my approach to suspension tuning. 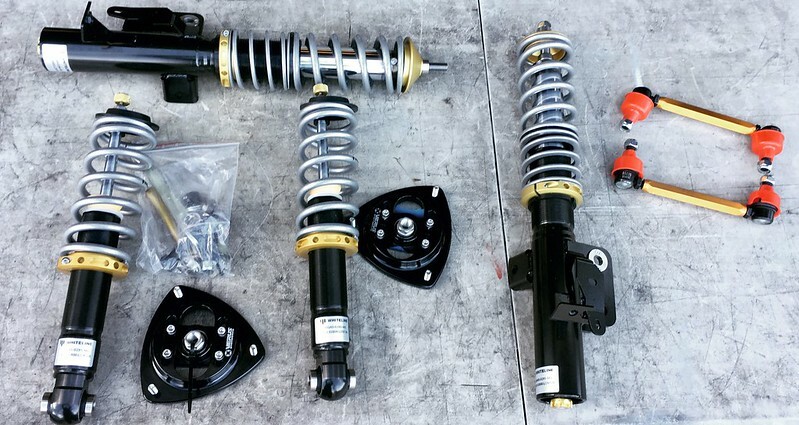 First step for me will be installing a set of the Whiteline MaxG coilovers! One Step Closer - Tires & Suspension Sneak Preview! 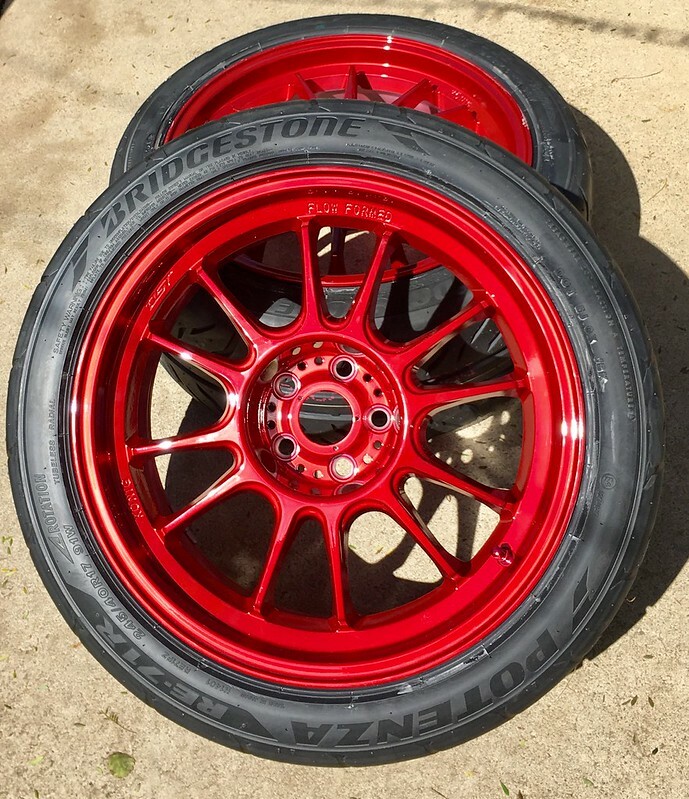 For autocross and time trials I picked up a set of RE-71s,245/40/17, and mounted them to 17x9 Konig Hypergrams in Red Opal. Photos do not do the finish on these wheels justice. 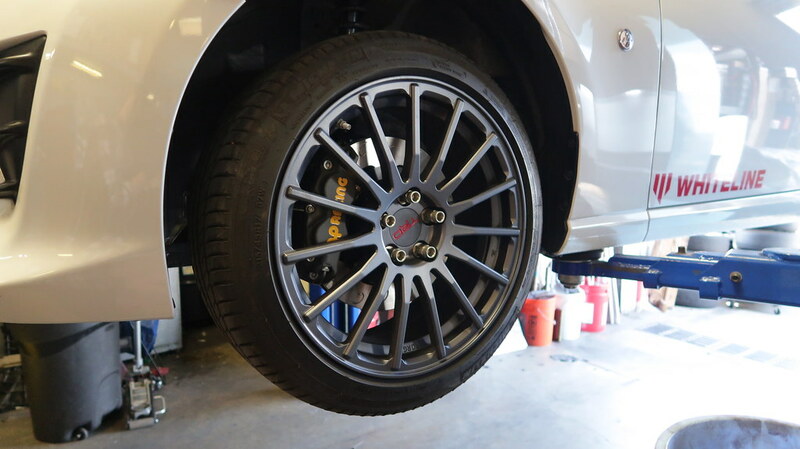 To match the grip of the tires the Whiteline coilovers needed to be installed. We are also evaluating some camber plate choices for this platform starting with the Verus Engineering camber plates. After a quick alignment I finally mounted the wheels and tires, I am in love. Test alignment was: Front -2.5*, 0 toe, and 6* caster | Rear -2.25*, 1/16th Total Toe In. After a quick wash and prep, it was time for autocross. Dan from 949 Racing came down in Beaker, their STR prepped ND for a little show down and to hang out. Unfortunately rain was in the forecast for the day and the predictions were right, it rained throughout the day. Thankfully there was not a lot of standing water but it was a nice slick surface to drive on, going fast was not in the cards. So how did it drive? I set the dampers in the middle of their adjustment range and did not find a need to touch them once. 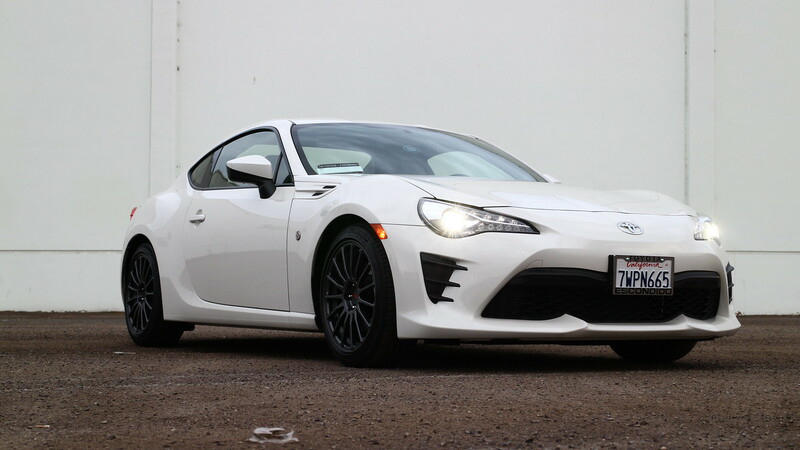 The balance was shifted towards a more neutral-push in these conditions, but that is not surprising considering the rear rates are almost the same as the TRD lowering springs and the fronts are about 1.5kg more. 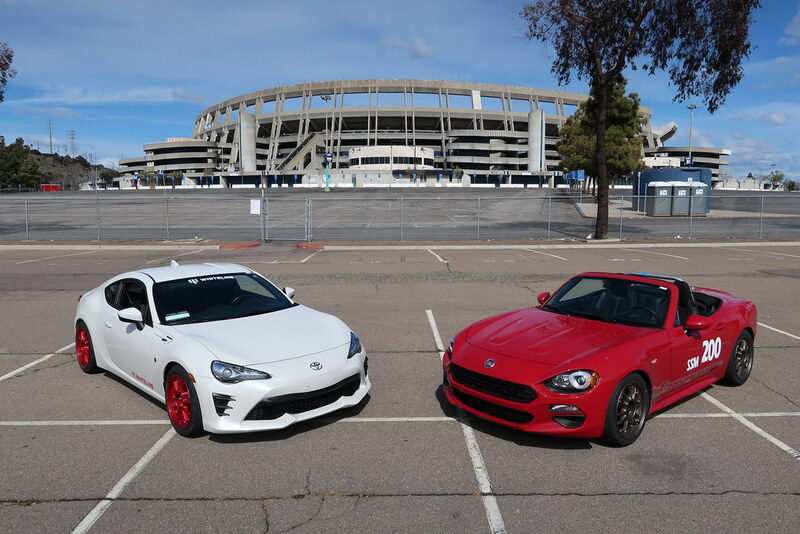 The way these coilovers handle the big bumps at the stadium was very impressive, I never found the car getting unsettled or upset no matter the input. More important, and a sign of a well valved damper, I didn't have to drive around any problems or balance changes. The car continued to do what I asked of it without question. 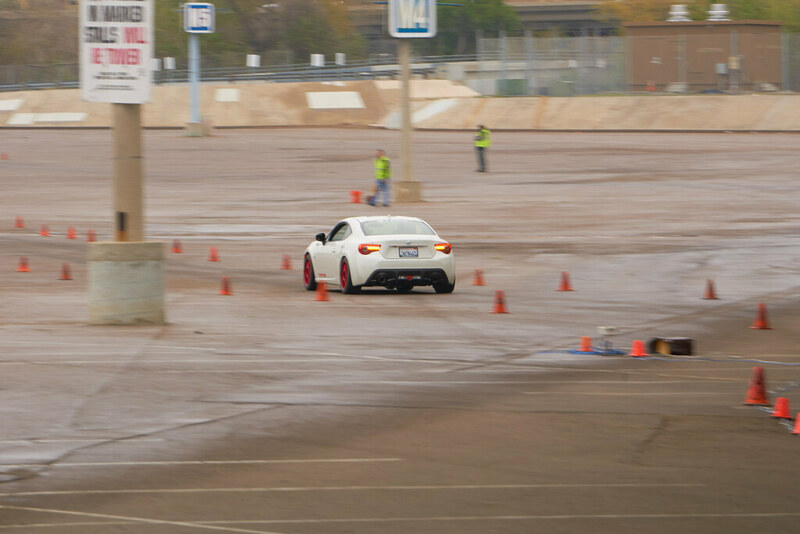 My wife was also able to hop in, after not driving the car since the first autocross, and absolutely kill it. She loved the way the car drove and found the added stability from the balance change more favorable for her driving style. I also came away very impressed with the Bridgestone RE-71r in the rain. Being an extreme performance summer tire I did not expect much in terms of grip but it did just fine. I am curious to try the same set up in the dry to see how it feels with the tires offering maximum grip. The results of the show down? 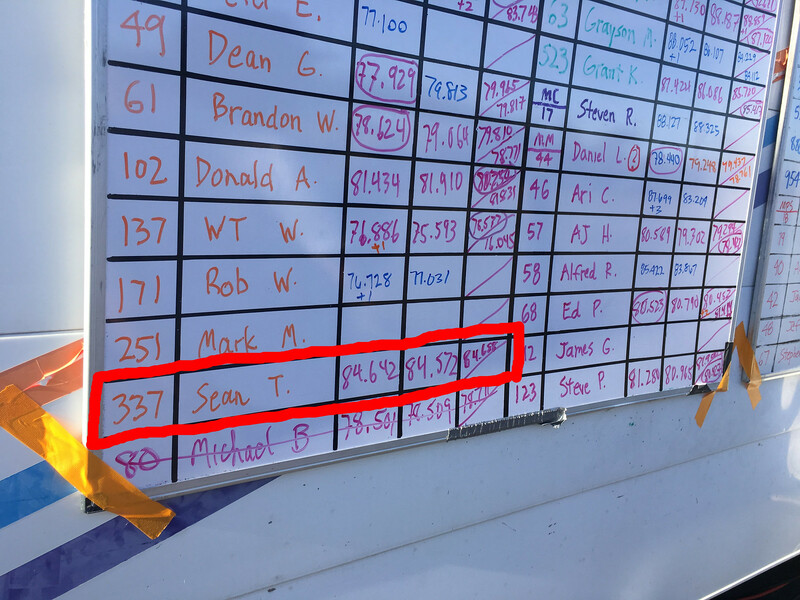 I came away very surprised finishing .7 seconds faster than Dan and took second place overall in the instructor class. The cherry on top was my wife picked up the win for Fastest Woman of the Day! I'll have the video finished up by the end of this week showing some laps and more impressions of the coilovers, stay tuned. 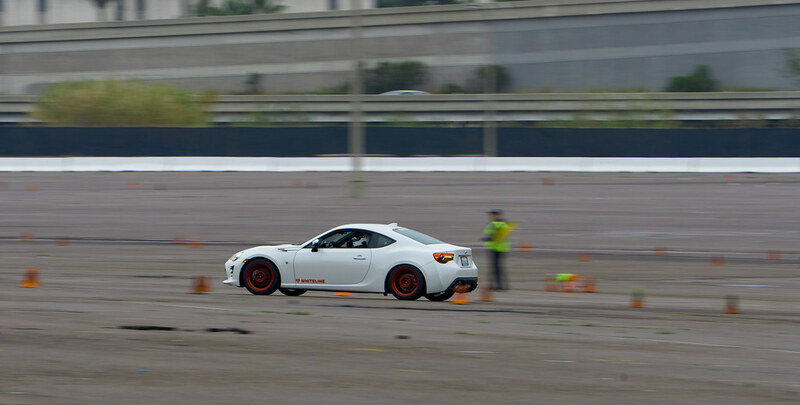 Sunday was my first foray into SCCA autocross with the 86. After the shake down last weekend, I was anxious to see how the car would handle in the dry. A few turns in, and as I predicted, the 245 RE-71rs had monstrous grip. The car felt much more lazy and it was quickly apparent I will need more roll resistance. My plan of attack is a Whiteline 22mm adjustable front bar and a Whiteline 16mm rear bar with 7kg springs. 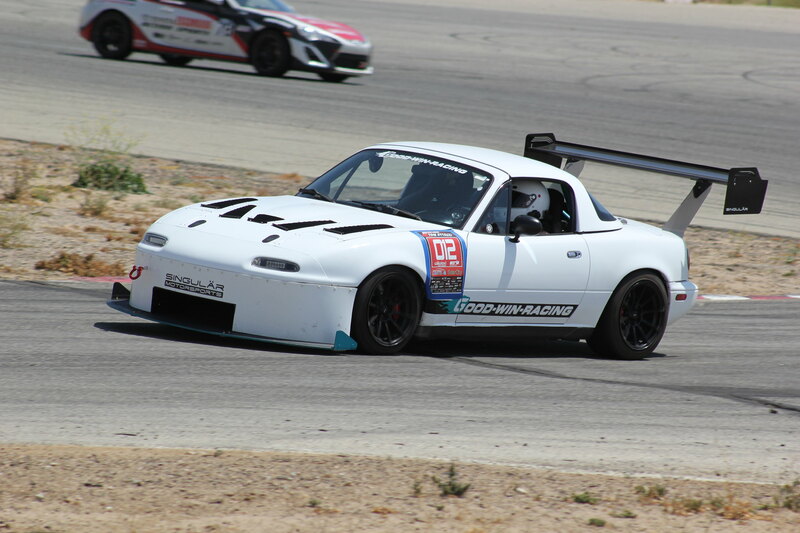 Don't mind the painter's tape numbers, I forgot you have to register the number you want with SCCA and you need to have your class marked on the car. Brian came down to play in the Fiat 124 for SSM. He is swapping between this and the ND for SSM this year for testing, I know the Fiata is polarizing but I really like it! I haven't seen results from the event yet but as soon as I do I'll report back. I know there were two BRZs ahead of me in time otherwise I think I was faster than the rest of the pack. Lots of work to do to get the car and driver up to pace! I also picked up a new camera this weekend. Image quality is up and I really had fun making this film about the day. Enjoy! Got my hand on the results, 3rd place! My goal is to get within .5 seconds of those guys at the next event. I am looking at going to the track in a few weeks. In order to get the car ready I have a few parts left to install. 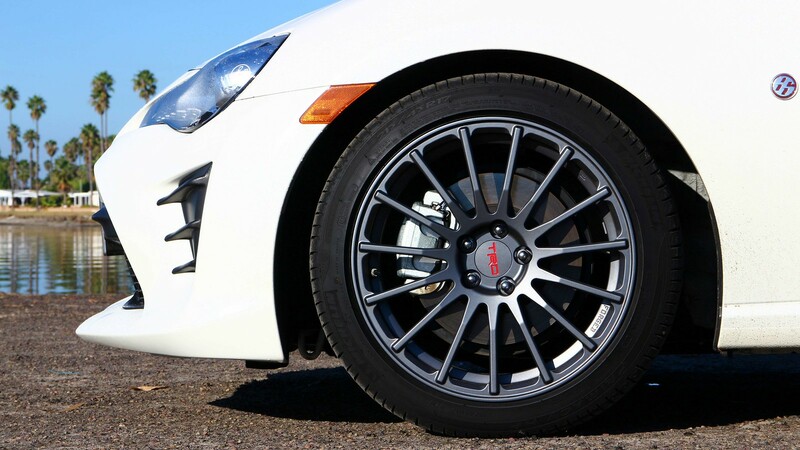 First on my list, the Essex Racing Big Brake kit. I spent a fair amount of time researching the kits on the market and this is without a doubt my favorite. It is well engineered and uses superior components each step of the way. 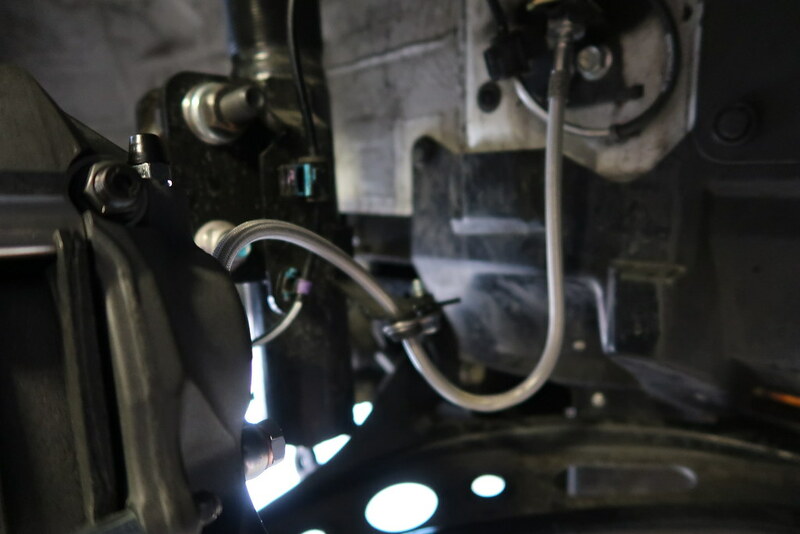 The only part of the installation that was "tricky" was routing the brake lines. It was easy to get the lines twisted up but with a little work everything went right into place. Here is a shot of the lines correctly routed. The template for the Essex kit indicated the TRD 15 spoke wheels would clear but I'm always apprehensive about brake kit templates. I've seen too many not scaled correctly and you get to find that out after you have the brakes on the car. Thankfully these wheels clear with PLENTY of room to spare. This video summarizes my thoughts on installation and offers a little bit of my philosophy on brake pad selection. For pads I chose to run Porterfield R4-S for the street and autocross. When I go to track days I'll start change out the pads to Poterfield R4-1s. They have a lot of bite when cold and work great for time trials.